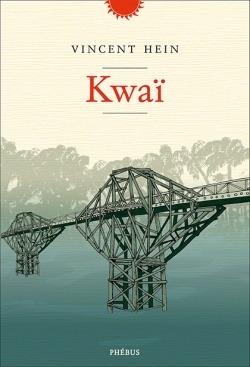 Do you remember the David Lean film, The Bridge on the River Kwai, based on the book by Pierre Boulle? For Vincent Hein, it’s an integral piece of his childhood — film evenings snuggled up against his dad, watching TV by the fireplace. So traveling to Thailand to stroll the banks of the famous river draws him into the deep, murky waters of memory. He remembers the men of his family, who were deeply affected by war. But he relates the atrocities committed by the Japanese Army as well. Pierre Boulle’s novel described the English officers as being smugly confident of their own superiority. But when it comes to violence, Vincent Hein’s account proves that East and West are well matched. 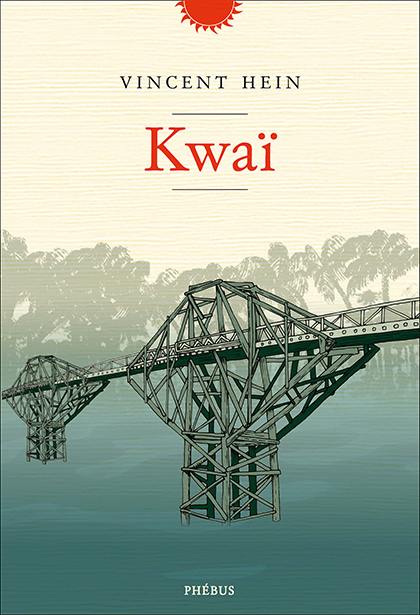 By going to the bridge on the River Kwai, Vincent Hein offers readers a fascinating journey through our collective memory. To a place where military history intertwines with descriptions of today’s Thailand and recollections of the author’s childhood. It leads us to explore our own relationship to violence. Smugly confident in their own superiority, Western military forces find companions in carnage in their Asian brothers-in-arms.